The Co-operative Commonwealth Federation which led to the NDP which brought us amazing things such as Universal Health Care, Pastor Tommy Douglas led the charge from Saskatchewan as he believed no one should suffer because of inability to pay. The Social Credit Movement which brought about some pilots of things to be solidified later. Yes it did, Rev. William Aberhart laid the planking for that. The concept of Social Credit, that is essentially free money to the populace, was a plan out of Britain if I recall, and it brought the SoCreds from a coffee party discussion and radio broadcast to governance beating out the United Farmers of Alberta. Now pause and think, what are monies from governments to aid one to not be in poverty? Alberta Works, AISH, Child Tax Benefit, Carbon & GST Rebate. Plus his protege and successor, Ernest Manning created the citizens royalty plan for our oil so well used and leveraged for economic’s by PC premiers Lougheed and Getty. In the 1990’s we say a rise of populism as a party essentially campaigned against themselves. The Klein way hit, and hit hard. Reading back on his movements inner circle they admit they had no plan. They had a slogan and started slashing. They moved our resource (oil) from a citizens commodity to a company right, gutting royalties but it was hardly noticed as the price of oil per barrel was insane. Systems of care were shifted to prove need and that you are not (the great WASP myth) abusing it, and things like disability and AB Works (Welfare) became harder to get and at this juncture were not about living (Redford did bring in an AISH raise, but that was almost a full or half-generation later depending on how you count generations). Seniors lost their supports, and what was given back was a pittance. Universal health care was tinkered with under the auspices of the “The Third Way” and hospitals were closed and imploded, the beds not fully replaced. We knew back then that the Baby Boom was the largest looming generation of retirement yet we were not planning to care for these elders to be, instead we placed money over citizens. It led to incomplete transitions for folks needing full time medical or mental health supports as large institutions closed but they were not fully transitioned into smaller homes, or group homes, many ended up in Homeless shelters. Public schools under the auspices of parents choice bled students, funding eroded, and drop out rates increased as big oil advertised good work (and yes we knew it was a crisis as many mentoring non-profits popped up attempting to stop the bleeding of Gen X and elder Millenials). It was also the 1990’s that showed Alberta’s hate proud. We had a KKK Rally and cross burning that made national news (sadly I cannot remember the exact township). Jim Keegstra our public school teacher and Holocaust denier made the news of being in and out of courts. At some point Keegstra was silenced, and the KKK lost their provincial non-profit/charitable status (can’t remember if the government pulled it, or they forgot to file some taxes and it was quietly closed). It was also in the 1990’s that the Government attempted to exert their censorship muscles by creating banned book lists in public schools (published on the first day of Freedom to Read week, oh the irony) and threatened theatre companies funding for putting on plays such as “Angels in America”. (Neo)-Nazi the term alt-right is en-vogue pointing out that Nazi’s were about white supremacy, yes and no, and only anti-semitic, yes and no. Nazi’s were filled with hate. The co-opted Norse Mythology for their imagery much like other extremist groups have co-opted Christianity or Islam today. The Holocaust not only involved 6 million Jewish folks. The zyklon B gas chambers was tested for efficacy with German citizens who were Roma, LGBTQ2+, Persons with Disabilities, and mental health concerns (about 7 million we know of). Medical experiments were run on folks of multiple births (twins, etc) as they gave a control subject. The prime drive was an enforced tier system of humanity where some were full people and other’s not (also noted in Stalinism’s brutality and murders, take any spectrum full circle and you get extremists and hate nothing more). Liqour stores privatized and so did registries. They finally ended the tiered minimum wage for workers under 18 and over 18 years old. In the 2000’s we were advertising we were open for business, but the jobs available that drew folks could not pay the cost of living. Emergencies were declared in homeless shelters in winters. Oh, and parents now could sign off on their 12 year olds working at places such as fast food restaurants. Premier Stelmach attempted to create royalties on oil focused on the citizens products, not the companies and well he was not premier very long. And it was deemed good by the small percentage that turned up to vote in the polls. Eventually any governing party runs out of steam, and after 44 years, and 7 premiers the PC Party lost the 2015 election to the New Democratic Party (going from 4 seats to government). They inherited what had happened a generation ago, the austerity cuts that had left huge infrastructure and capacity gaps (literally crumbling schools). To offset this as well, the usual way the Alberta Government and people were comfortable with solving issues, the price of oil had tanked and was not looking like it was going to return. Jobs were lost. The types of jobs that with oil prices regressing big companies realized were not necessary, and could be handled with new technologies. Where do you see yourself in the emerging Alberta? Your neighbours? Our politicians and media? I believe as a province as a whole we are in the pre-contemplation to contemplation stage of change. Which is why it is so easy to be divisive, to use attack ads, to yell sound bytes, to not have actual debates and conversations of issues. Most importantly, to not realize that local action can create ripples that change outwards for the positive. We are living through a province fluctuating between denial, anger and bargaining. Our leaders, are managers trying to keep their bases appeased and not willing to take a risk to speak into the void of pain. To let the silence do the heavy lifting. The cycle of depression, before acceptance is scary, and it is where our province as a whole needs to move. 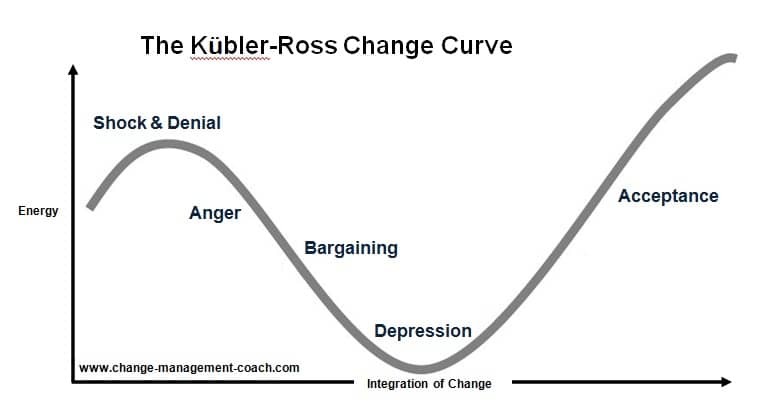 Once into acceptance we can move into the stages of change into preparation, action plan and maintenance. But the first step in actual Peace, Order and Good Governance for the citizens. We as a whole province are stuck in the downloading arc. We cannot get past the letting go in a collective understanding of who we are and what our vocation is? April 16 is a big day for Alberta because it is our time to decide to enter authentically into grief, healing and a new dawn. To do that though we must move beyond the rhetoric, the hate, the attack ads. We must demand better of those who want to represent us. We must let go, and let come the new Alberta. As you work your way through the stories in Judges, it can begin to feel like a never ending loop of a bad run of Coronation Street, when the writers ran out of a bit of oomph. I mean, the cycle itself can be rather tedious, and I can hear the reader going, well how does this apply to today for surely we are not that dense or in a theocracy. Throughout the journey of Judges, the message back to the tribes, to the person remains the same. Here are our constants, trust in that. Move forward in what we know is right, and what we know is wrong is to be cast aside whether it is old or new. 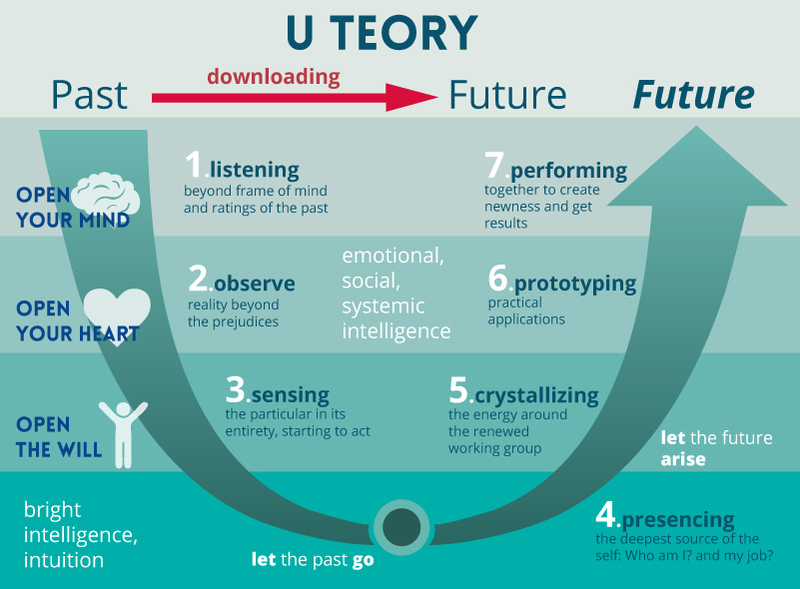 It becomes a cycle, and yes, we must release the past eventually, but the processes of the past that only serve no purpose (like the old idiom don’t throw the baby out with the bathwater). I would state that the moments of peace at the end of a Judge Cycle is the nation crystallizing or prototyping yet just not ready to step into performing. They cycle back to try again, it may take several runs, but each time something new is performing, something new is discovered that needs to be let go, as with Jephthah’s cycle of being a judge (Judges 11-12). What I love is that it shows the challenge of accepting the new, the first line is that he is a son of a prostitute. Now, many in the ancient world or even today will not admit this profession exists due to patriarchy and oppression. But definitely in the ancient times without a man to “own” them, it is the route women were left with. Jephthah’s very birth was casting light on the darkness the tribes refusing to move forward in care and equality was doing to their own brethren. It lays out the horrors turning away from the Law had wrecked on the tribes. So is this a statement for the need for legalism? No, for what is at the core of the Law, this is what needs to be remembered for even in the Torah it comes down to the Shema, which is boiled down to Love. Are our actions in society out of love for one another? Is it rooted in compassion and kindness? Knowing that we all are created with inherent worth, or have we simply commodified ourselves. The challenge of the Judge’s lineage in this story showing that someone had fallen into a societal label game and was cast aside. Do we do that today? With our medical codes? Diagnosis? Territorial-religious-economic stratification? Race? Gender? All become points of those on the in and the out. What is the truth? Something we have known for thousands of years. We are all in this together, all the same, and it is when we stray from love and create false labels that we are hit with war, famine, and death. When hate overtakes love. And no, it is not a quick transition or change. For in change as it involves the ickiness of life, and those dastardly emotions. It is about being present, and understanding that things will not be as they have always been amen amen. Rather it is knowing whether in the transition is it healthy or not? Does it honour our shared humanity or not? Are we able to let go, and let in what is being formed? After him Ibzan of Bethlehem judged Israel. 9 He had thirty sons, and thirty daughters he gave in marriage outside his clan, and thirty daughters he brought in from outside for his sons. And he judged Israel seven years. 10 Then Ibzan died and was buried at Bethlehem. I wonder as I read the closing of the Epistle of 1 John if the disciple John knew the change that was to come by the time he wrote Epistle of 2 John. That is, did this ancient elder know that what had been built as community around the Love Commandment, would be changing through structures of Christendom. What was he thinking? He still wrote to draw people back to the original. Some would say that when it comes to communities changing, it needs to be managed. It needs to be strategized, the acceptable loss, the acceptable net gain. What money would go down, what money will go up is the 21st Century motif. Will this change upset what people gather for? Whom will be lost? Are the big donors still happy with us? Faith. It is a key word. For faith, is a journey. A journey where the journey itself can come to mean more in our personal and communal development than the destination itself. Also, lends itself to the understanding that the journey is renewal, as experience brings new understandings. John, knew his community would go on a new journey as the Christianities became Christendom. He wrote for those who would enter not a change to manage, but a grief journey. Somethings were going to be lost. Somethings may remain. But a new birth for the communities of the Cosmic Christ awaited and had started. It was a grief journey, which is why he was bringing the community back to core values of understanding of who they were. This is he who came by water and blood—Jesus Christ; not by the water only but by the water and the blood. And the Spirit is the one who testifies, because the Spirit is the truth. 7 For there are three that testify:8 the Spirit and the water and the blood; and these three agree. 9 If we receive the testimony of men, the testimony of God is greater, for this is the testimony of God that he has borne concerning his Son. 10 Whoever believes in the Son of God has the testimony in himself. Whoever does not believe God has made him a liar, because he has not believed in the testimony that God has borne concerning his Son. 11 And this is the testimony, that God gave us eternal life, and this life is in his Son.12 Whoever has the Son has life; whoever does not have the Son of God does not have life. As 1 John aligns almost as a commentary to the Gospel of John, written to the Johannine Community I ponder this passage of remembrance. Bringing the hearer and reader of this epistle to the story of Nicodemus, we know in the Gospel of John 3 . Is it a reminder to fall in line with others who hold the same beliefs? Probably. But, what if it is also a reminder to community members that sometimes one must come in the cloak of night to uncover the truth. That is, even though an institution tells, espouses and enforces one belief structure does not mean it may be true. That one is commissioned to seek truth, true self and holy community, as Nicodemus did. I write these things to you who believe in the name of the Son of God, that you may know that you have eternal life. 14 And this is the confidence that we have toward him, that if we ask anything according to his will he hears us. 15 And if we know that he hears us in whatever we ask, we know that we have the requests that we have asked of him. 16 If anyone sees his brother committing a sin not leading to death, he shall ask, and God[a] will give him life—to those who commit sins that do not lead to death. There is sin that leads to death; I do not say that one should pray for that. 17 All wrongdoing is sin, but there is sin that does not lead to death. 20 And we know that the Son of God has come and has given us understanding, so that we may know him who is true; and we are in him who is true, in his Son Jesus Christ. He is the true God and eternal life.21 Little children, keep yourselves from idols. What is sin? If we remember the teachings the disciple John brought forth in his community and writings it was centered on the Love Commandment. The sacrament of service at the Last Supper (foot washing). The fact, that each of us experiences the life and teachings of Brother Jesus as the Beloved Disciple, the one so loved Jesus’ mother was entrusted to us to care for. It is that esteem, that inherent worth. The true self. A familiar refrain on this site. Yet it is an important one. Sin is when we let our own shadows, gremlins, saboteurs or egos to take hold of us and lead us into our own destruction. If we are serving, we serve out of that darkness, not the light given to us. It is succumbing to loves beside our divine being in oneness with the Holy Mystery and neighbour. It is succumbing to the love of self (pride), money, power, to name but a few. It is the succumbing to control of others, not love of others. Even if the destination appears holy, the journey is one of destruction. These are the idols John is warning his community about. Ensure they stay true to who they are. Do not surrender to a path that was contrary to who they are. This is the grief journey. For the outcome is about whether or not what is birthed as new is not just sustainable, but livable. John knows the journey ahead, and is letting his community know what it means to be who they are meant to be.